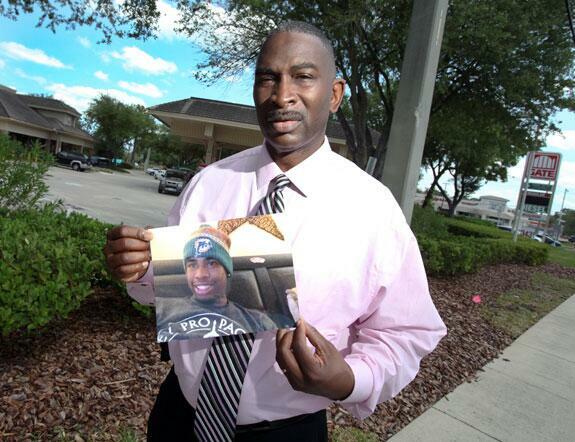 Ronald Davis, father of Jordan Davis, recently did a radio interview with DJ Envy, Charlamagne Da God, and Angela Yee of The Breakfast Club to discuss his thoughts on verdict of his son’s murder trial. During the interview, Davis explained exactly how “Stand Your Ground” is suppose to work and how the victim’s family can’t file a civil suit if the accuser uses the law as a defense. Not only does someone get away with murder, but they don’t have to pay for their crime either. Davis also expressed how disappointed he is with Dunn’s family for not giving their condolences for Davis’ loss. I’m going to assume Dunn’s family was disappointed in the verdict as well and that would explain their lack of decency to show condolences. This entry was posted in Whats The 411? and tagged angela yee, charlamagne da god, dj envy, jordan davis, michael dunn, ronald davis, stand your ground, the breakfast club by JimmieValentino. Bookmark the permalink.